It’s not enough to know general knowledge about your topic – it’s also important to do at least a little research on what a company does, how it works and even its history. Showing you can research and understand the values and ethos of a business can be equally as important as the skills and knowledge you can display offhand. You don’t have to go in-depth, but if you can fill a page of an A5 notebook with what you know about the company you’re applying to, then you’re off to a great start. If you have one positive recent news story you could refer to as well, perhaps relating to an award, event or new product, then it’s all the better. Having a greater understanding of the market you’re going into can give you insight into what your role might be. Whether it’s taking a quick look at the skills and abilities of people in similar organisations to you or simply looking at what sets your interviewing company apart from the competition, further knowledge of the ins and outs of an industry can be a good indicator that you’re passionate about it. It can also give you a greater understanding of what your responsibilities will be in a particular role, and give you other options that you’ve already researched should one interview not work out. Just throwing on something on the day won’t cut it; and even if an office or workplace has a uniform or is smart-casual, opting for the smarter spectrum for your interview wardrobe gives a good impression. Of course, it’s also important to know how to read a business; if you’ll be on your feet a lot or on-site for a role, showing up to your interview in a pencil skirt and heels might not immediately make your match with the kind of job you want. Don’t be afraid to ask your recruitment agency or their HR manager pre-interview on what it the etiquette for your interview process; whether formal or casual. This one might seem more appropriate for an improv or drama class, but in fact, being able to speak confidently about yourself while keeping good eye contact is something many people struggle with, and using the mirror can be a good tool to take away the awkwardness of being asked about yourself in the interview room. Talk about your good points, your experiences and even things you’d like to improve; anything that might be asked on the day. We’re not just talking women when it comes to ensuring you look bright-eyed and bushy-tailed on the day of an interview. A little concealer can make you look more awake, and a beauty routine could just be ensuring your hair is freshly washed, clean and nicely styled. Other makeup isn’t a must for any interview, really, but if you feel more confident with a little mascara on, go for it. Heavy-duty concealer can also be used to cover tattoos is necessary, and if it is indicated that they may not be welcome in the workplace. There’s nothing worse than the panic of being late to a job interview, and it can reflect badly on you even if the situation may not have been your fault. From traffic to breakdowns, lack of public transport to roadworks, having some understanding ahead of time of how long your journey will take, when you’ll get there, and how much time you’ll have before an interview are all key things to consider. It’s always preferable to arrive at your interview a little early, but if you’re there more than twenty minutes before your interview, opt to duck into the nearest coffee shop or cafe and wait it out. It’s very unlikely that any job will want you to take in your qualifications and identification to an interview, so when we’re talking about paperwork we mean anything that adds value to your meeting with a potential employer. If you’re asked to do a presentation, bring paper copies so they can follow along and make notes. Written something relevant you’re particularly proud of? Bring it with you. Choose a professional ring binder or folder to ensure your paper doesn’t arrive dog-eared or messy, and to give yourself a more professional image. If you’re looking for a new role in the healthcare, construction, commercial or industrial industries, we’ve got you covered. Contact us today at Time Recruitment to find out more about the roles we have waiting for you. A well-planned interview will include a number of questions which have been designed to reveal information about the potential candidates and their achievements, goals, skills and personalities. More interviewers are aware of the common questions, so we have put together the following list which is designed to give you a better insight into potential candidates’ abilities. This is a great way to break the ice in an interview, as the candidate will quickly be able to talk in detail about their recent achievements. It is likely the candidate will discuss a goal which a manager set them and the steps they took to achieve the goal, but a great candidate will explain how they were able to set their own goals. You should look for candidates which were able to adapt plans as situations changed, to ensure the overall goal was achieved. A good employee is able to plan well and adjust to quickly changing environments. We all make mistakes, it is only natural. An honest and open candidate will be able to take responsibility for failing tasks, without trying to blame others. A great candidate will talk about the lessons they were able to learn from the experience. All failings are a learning curve and should have provided a candidate with improved skills and expertise from the insight gained. If there is a problem in the workplace which requires an awkward conversation, many employees will struggle to open up. In many situations people believe the easy option is to stay silent, while hoping that someone else in the workplace steps up and starts the conversation. If your candidate does not have an example of an uncomfortable conversation, they may not be a great fit for a team. A great team should be able to support each other through praise and constructive criticism. An ideal candidate should be able to demonstrate an ability to involve themselves in team dynamics. They should be able to raise issues within the team and discuss interpersonal issues rather than hesitating. There are conflicts in both our personal and professional lives, and in every role we are likely to be faced with conflict. This is an excellent way of establishing which candidates are unable to accept responsibility for an issue. An ideal candidate will be able to explain why an issue occurred and how they worked to solve the problem. A common situation is when candidates raise an issue within a team, as it can lead to temporary upset. The candidate should be able to identify where the issue came from and demonstrate how they resolved the situation in a professional way. The best candidates will be able to admit when they were at fault and identify any of their actions which could have led to the upset. This question will help you find candidates which are looking to hit the ground running. The ideal employee will want to learn quickly by finding their way in the day-to-day running of the business. The candidate should be able to describe how they were able to add value to the business and the skills which they brought to the position. You should be looking for candidates who were quickly able to identify changes to make in the workplace to improve efficiency, customer satisfaction and quality levels. Try to look for candidates who dive into their roles, rather than waiting for instructions from senior employees. The best candidates are those who are able to share what they have learned through their working lives, as it shows they are always looking to develop and learn. Rather than moving from one question to the next, try to create a natural conversation flow, as it will put the candidate at ease. Always aim to find out a little more through follow up questions, which may not have been carefully prepared in advance. Remember to give the candidate ample opportunities to talk about their experience, skills and their career goals as small details could show you that they are a great fit for your business. As a professional recruitment agency, we can assist you in finding the ideal candidate for your position. If you would like to find out more about our services, please contact us. In a highly competitive recruitment market, a really good resume or CV is essential if you’re to get that all-important interview. But what’s the best format to use? A chronological resume concentrates on providing a reverse-chronological work history with detailed information about your accomplishments and duties. This is great if you have an established career track and wish to stay within a particular specialism, as it emphasises your relevant work experience. You could opt instead for a functional resume. This format focuses on your key skills and not so much on your work experience. This is a good choice if you are looking to make a career change or have a rather sketchy employment history with gaps and lots of short-term jobs. But there is another, increasingly popular option: the mixed or combination resume. The mixed or combination resume is a hybrid of the chronological and functional formats and seeks to incorporate the best of both. The document begins by giving a detailed description of your functional skills and any related qualifications, and then follows this section with a reverse-chronological employment history. Many recruitment specialists and hiring managers like to see this format, as it states an applicant’s most relevant qualifications and skillset at the beginning of the document, then provides a relevant employment timeline. This pinpoints a candidate’s most desirable and relevant credentials, making it easy and quick for the busy recruiter to identify the most likely applicants for the position, without having to trawl through the whole resume to find the snippets of pertinent information they want. The downside of the mixed resume is that a full employment history is included and any gaps are therefore more apparent than they would be in the functional resume format. Who should use a mixed resume? • Students, entry-level job applicants and new graduates: The mixed resume format allows these job seekers to place emphasis on their skills, rather than their brief employment history. • Applicants with a consistent employment record. • Career changers: A mixed resume is useful unless you are intending to pursue a really radical career change, when it might be best to go for a functional resume. • Those re-entering the job market following a break: The mixed resume format removes some of the emphasis from the fact that you’ve had an employment break and directs attention to your skills and achievements instead. • Older workers: It’s important for older applicants to really sell their strongest credentials, and an employment summary section provides an ideal opportunity to do this. A mixed resume is by its very nature a structurally flexible document, so you can tailor it to suit your needs. Begin by including a career summary which contains detailed information on the qualifications and skills you have which are relevant to the position for which you are applying. This is your opportunity to persuade recruiters to read the rest of your resume as they will be able to see from the first section that you are well-qualified and potentially an ideal candidate for the role they are looking to fill. Incorporate all your key skills; specialist expertise, accomplishments, any related training and job objectives. Follow this section with a reverse chronological employment history. Most recruiters prefer to see what you have done most recently, rather than what you were doing fifteen years ago when you first left college, so always put your employment history with your most recent position first. Brevity is important in any resume; recruiters don’t want to read your entire life story! Keep your experience section clear and concise focusing on your accomplishments rather than your day to day duties and omit anything that’s not directly relevant to your career goal. Remember to include examples of instances when you used your skills and strengths to add value to your role and where your work directly benefited a particular project you were working on. Be specific rather than generic so that you stand out from the crowd and give plenty of examples of how you used your strengths and skills in your previous jobs. Other sections that can be included in a mixed resume rather depend upon your individual experience, but if you want to you could also include sections on training, education, languages, affiliations, and any other miscellaneous information you feel would be relevant to the position for which you are applying. Often times, the hardest part of getting a new job is actually securing an interview with a company you are passionate about working for. What this means is that, once you do land those ideal interviews, you need to be doing everything right to help make sure you get the role. So, to help you out, and to make sure you don’t waste any opportunities that come your way, here are the seven ultimate interview tips you need to be following each and every time. Ultimately, the interview process offers the chance for employers to fully understand your skill set and to decide whether or not you are best for the role. As such, you should be conscious of highlighting everything that you have accomplished and are able to do. When you are asked questions to demonstrate your skills, be as forthright as possible and use plenty of examples. Rather than saying you are a good leader, provide an example of when you displayed leadership qualities in a given role. To help make sure you showcase all of your talents, you should write them out before the interview and go over everything you need to say. Practice is crucial when it comes to interviews. You need to practice all aspects of the interview, including what you would say when asked to give examples of what you have done in the past. You should write up a number of questions that you know you are likely to get asked, and then get friends or relatives to quiz you on them. As an added tip, whenever you practice answering questions, do so in the same manner as you would with the recruiter. For example, maintain strong eye contact and a confident posture. It almost goes without saying but, the worst thing you could do is to turn up late to an interview. You should aim to get to the interview at least 15-30 minutes before you need to be there. That way, you have plenty of time to spare in case there is any sort of hold up on the way. Also, it helps for you to mentally prepare yourself and enter the interview feeling relaxed and calm. Finally, it leaves a great first impression on the employer, as punctuality is a desirable trait in all candidates. If you have properly prepared for the interview, then there is no reason for you to be nervous on the day. However, it is natural to feel a little tense or nervous as, after all, you do want the job. Just remember that the recruiter will be assessing all aspects of your performance and will be more interested in hiring someone who is calm and confident. So, try to focus on how you come across verbally and physically. Your body language will say a lot about how calm and confident you appear. There are a number of things you need to do in order to get ready for your interview. This includes things like preparing questions you will need to answer; having questions to ask the recruiter; and knowing what you will be wearing. Regardless of what the task is, make sure you have prepared it as far in advance as possible and will not be left until the last minute. Try to plan the day as much as possible, like how you will be getting to the interview and checking for any expected delays along your route. Working for any company means being passionate, not just about the role, but also about the company itself. Researching the company thoroughly will have the benefit of helping you to decide whether or not it is the sort of business you believe in and would support. Also, knowing as much as possible will help you to tailor any responses you give. You can focus your responses around things you know the company wants to hear. You can also relate your particular skills to how you can help the company achieve any missions it has. It is good custom and a smart idea to send a follow-up email to the recruiter up to 24 hours after the interview. Keep it brief and polite and thank them for taking the time to meet with you. You can include any further points you might have missed out or remind them of why you would be perfect for the role. Don’t be pushy, but at the same time, recruiters will respect you for taking the initiative and trying to succeed. Now that you know what to do in your interviews, it’s time to start opening yourself up to more opportunities and finding those great job opportunities. This is where Time Recruitment comes in. We help local job seekers to find their dream roles across a whole range of sectors. Our team of dedicated recruiters know what it takes to find perfect roles and to then prepare you for getting them. To get started on your path to a new career, simply sign up for a free account today. Then, get to work browsing through the roles we currently have available. Certain job roles, such as nursing, come with a specific set of skills that help recruiters find the perfect candidates. Obtaining these skills is crucial if you want to come off well in an interview and either make it to the next stage or better yet, land the job. How you present yourself in an interview is just as important as what you say, so it’s vital you are aware of the different ways in which interviewers will be reviewing you. While it’s important to prepare what you will talk about and how you can explain your skills and experiences in the best way, take some time before your interview to think about the way you hold yourself because body language is a huge factor. It’s never a nice experience telling someone they didn’t get the job, but there are ways to break the news in a gentle and positive manner. If you have chosen to work in the social care industry, you no doubt want a career that will allow you to make a difference. However, simply having a passion for the job isn’t quite enough. You need to be able to demonstrate why you are the right person for the job when it come to the interview stage. We’ve all been there. The interview is looming and we’re rummaging through our wardrobes looking for something appropriate to wear. Many candidates who attend interviews are so concerned with making a good impression that they sometimes forget that an interview is a really good opportunity for them to ask questions too. Getting a job in healthcare when you have little to no experience might seem like an impossible task. Perhaps you feel like breaking into the industry is like trying to find a needle in a haystack or that many employers are only interested in candidates who already have a substantial amount of knowledge – especially for more senior roles. However, contrary to popular belief, there are ways to work your way up in your chosen career with little experience by following a few simple tips. Keeping up-to-date with the latest news and trends can work wonders if you are trying to break into the industry. There are some fascinating sources such as online magazines and forums that can tell you who is hiring and when – some of which focus on specialised areas which you may find particularly useful. 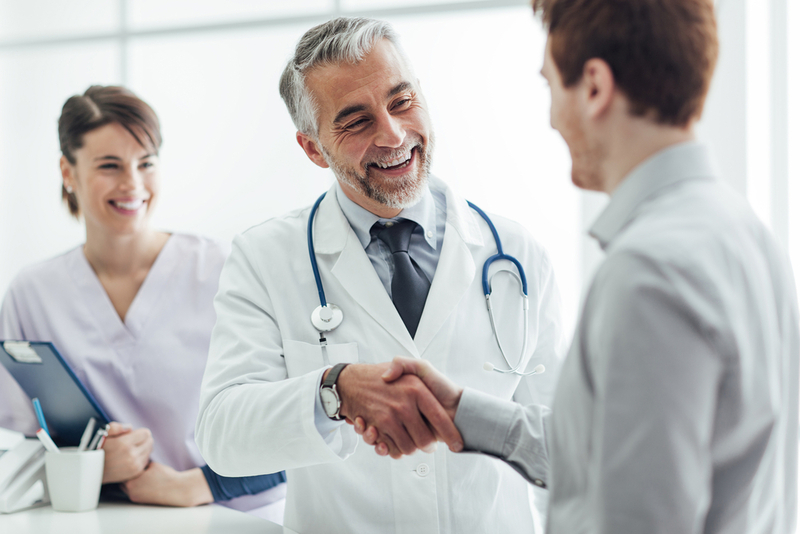 Once you have done your research and figured out what area of the healthcare industry you want to work in, you should then start to connect with as many people in the profession as possible. By combining online networking with face-to-face networking you are creating a memorable identity for yourself. Do some voluntary work or join a healthcare association and you will gain invaluable experience that will get you noticed by the right people. If you’re hoping to get into the healthcare profession and you have come from another industry, work out which skills – mainly transferable skills – you can bring with you. Things like IT skills, human resources and secretarial experience are all useful qualities that you can prove to employers once you have got your foot through the door. Every job role requires an opportunity to learn. That’s why it’s a good idea to find a mentor who can guide you with their industry insights – especially if you are in an entry level job. By demonstrating your passion and your willingness to learn and to grow in your working life, your mentor should be able to point you in the right direction when it comes to boosting your networking and job search efforts. Healthcare Assistants or HCAs are generally required to support doctors and nurses. They can usually be found in hospitals and doctors surgeries and play a vital role in caring for patients’ needs. Previous experience is useful but not entirely necessary making it a great job role for beginners. You can also opt for an apprenticeship scheme or work towards a certificate such as a Level 3 Diploma in Healthcare Support Services which would give you the opportunity to branch out into other areas of the healthcare profession in the future. Another role certainly worth looking into is a Dental Support Worker. This is a hands on role with no set entry requirements. Employers tend to favour a strong worth ethic and a positive attitude over employment history when it comes to recruiting for this position. In a job like this you will usually receive a high level of on-the-job training as well as being encouraged to seek further knowledge in your spare time to help build your credentials. While on the job you will typically be found sterilising instruments, mixing fillings and assisting with X-Rays. It’s useful to know that not every healthcare job consists of working in a hospital or surgery. In fact, there are opportunities in the social care sector that need a range of different skills. A lot of carer jobs are very similar to Healthcare Assistants but primarily operate within a client’s home depending on what kind of care and treatment they need. It can be quite a competitive job role but voluntary work or personal experience can generally be enough for you to get your foot on the ladder. If you’re hoping for an entry level pharmaceutical role to boost your chances of working in the healthcare industry, becoming a Pharmacy Technician could be the ideal role for you. This is a great way to find a mentor like we mentioned in our previous section, as you will be working under the supervision of a registered Pharmacist. 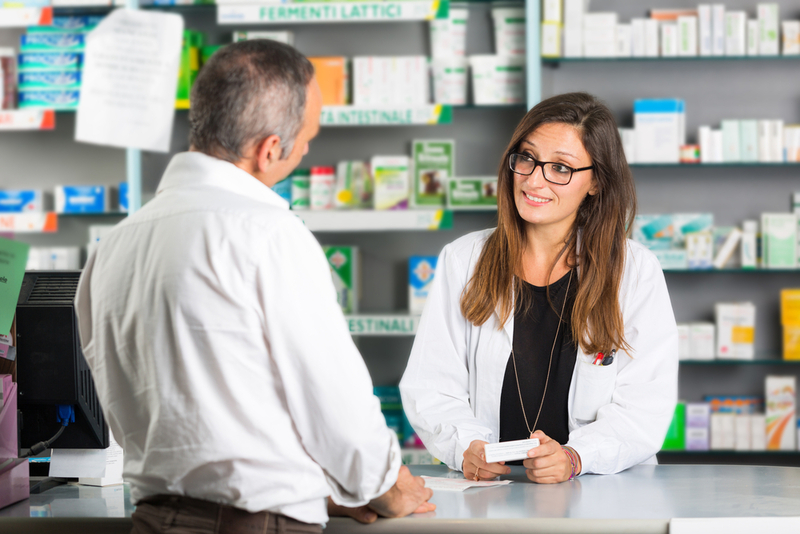 Aside from collecting prescriptions and selling over-the-counter medicine, a Pharmacy Technician will be able to shadow a Pharmacist and offer basic advice to customers on which products would be most suited to their circumstances. Plus, trainee positions and apprenticeships are available to over 16s and anyone who is no longer in full-time education so you can work towards an NVQ in Pharmaceutical Science. If a non-clinical job role is more appealing to you than a practical alternative, perhaps becoming a Medical Secretary is the right option for you. Medical Secretaries are an integral part of the healthcare industry, organising and scheduling appointments and dealing with day-to-day admin to help doctors and nurses carry out their role in the most effective way possible. Of course previous admin experience would put you at an advantage but experience in specific sectors is not hugely important. The main things you will need to obtain are excellent organisational skills, a thirst for knowledge and the ability to use your initiative. When it comes to searching for jobs in the healthcare industry, it’s crucial you are positive with your applications and don’t give up. It’s important to take regular breaks so you don’t overdo it, but have an open mind and be realistic with your search. For more information on healthcare jobs or a range of other industries, visit Time Recruitment and speak to one of our helpful advisors.